After the success of “big sister” DevTalks Bucharest in June, this time it’s all about the juniors. On November 12th, the Impact Hub Bucharest will host the DevTalks Junior, an all-day workshop, especially for young developers. Therefore developers of tomorrow have the chance to talk more experienced developers. For the first time, Karina Popova will be a speaker at the DevTalks Junior. 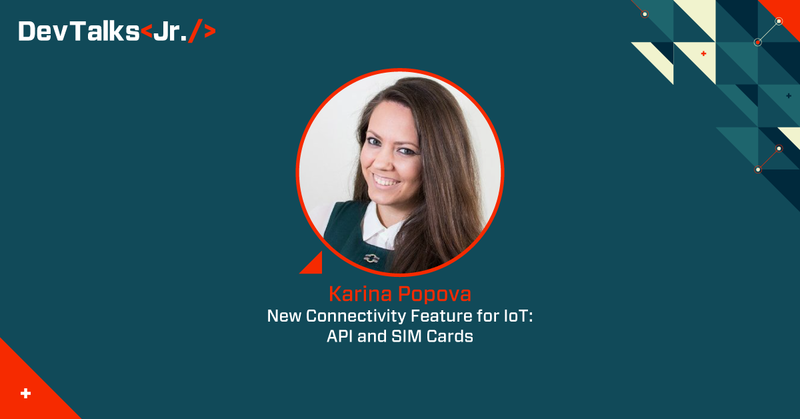 Due to it, she will share her knowledge about the different application fields for M2M SIM cards and the benefits of those SIM cards. A SIM card of this kind is our network-independent “wherever SIM”. Most noteworthy, this SIM card enables users to achieve and maintain a high level of GSM coverage for IoT devices around the world. Additionally, wherever SIM can be used in different applications, for example, alarm systems or e-health monitoring. This entry was tagged Big Data, Conference, Connectivity, devtalks, GPS, IoT, mentor, Remote monitoring, Sensors, Software. Bookmark the permalink.